With nearly 50 years experience, Triple A Welding has become one of the most complete fabricating facilities in the Southeast. Triple A Welding's operations are equipped to produce almost any steel product. To improve its competitive edge in today's rapidly changing marketplace, Triple A Welding is maximizing quality and productivity while minimizing cost. Located in Northwest Alabama, Triple A Welding has earned a reputation for quality workmanship at a reasonable price. Triple A Welding, Fabricating and Machine Company is the company for your steel fabricating needs. Looking for extra income, in 1964, the Askew brothers, Bill, Doyle, and Bob, purchased Kingsley Welding Shop, a small business in Sheffield, Alabama. This welding shop of no more than 2400 square feet instantly became the fastest growing steel fabricating facility in the area. 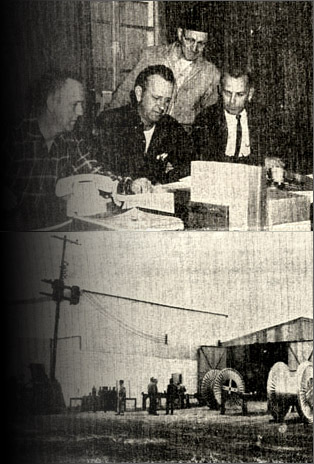 In 1969, the company expanded into a new 20,000 square foot facility. Today, Triple A Welding is a preferred steel fabricator for companies nationwide.